Welcome to Disco Couture and its owner DJ Andy P a chic and modern DJ who understands the value of putting the customer first. Andy has been entertaining for many years now and is a talented host who aims to put on a great show, when DJing his sets are a mix of modern and classics and tracks to help keep your dance floor moving all night. Disco Couture provide all occasion disco packages but are specialists in the wedding disco market - we believe we provide the very best in enjoyment for your wedding reception. 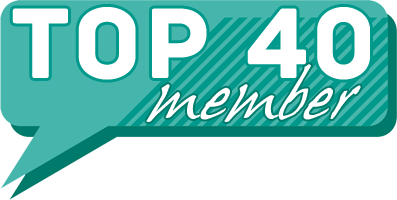 If you want to know more check out our social media pages and website or better still get in touch to see how we can help make your party that little bit extra special. 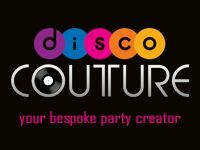 Required by many venues, Disco Couture has a current PLI policy with Mobile DJ Network in the amount of £10 million. Also required by many venues, Disco Couture has supplied satisfactory evidence of holding current PAT inspections of their equipment dated within the last 12 months. A Method Statement outlining Disco Couture&apos;s Health & Safety procedure for setting up disco equipment has been provided. Disco Couture has provided Risk Assessments undertaken at events sourced via needadisco.com, indicating that they can undertake these competently. Why do people choose to book Disco Couture? Great quote . Great comunication. "Andy played every song we requested and was at the venue well before start to set up.Brilliant night "
"Was nice to meet you and John, glad you had a great night"
"Would definitely recommend. Dance floor full all night. Only disappointment was we booked the photo booth and part of that was meant to receive a data stick with all photos on but we never received this"
"Thanks for the review, if you didn't get the usb I posted I'll send another soon"
"I would definatly refer him to family members or friends and i would use him again. He was so friendly and always kept in touch right up to the day before my wedding to check everything was still ok and check over what id asked for"
"A great day and a great couple the best of luck to your both"
"I would hire Andy again in a heartbeat. A genuinely nice guy who did an amazing job. I'd recommend hiring his photo booth too. [ADMIN NOTE: Feedback earned under previous company name 'Attack the Dance Floor']"
"Many thanks for the kind words, was a great night for us too"
"I was absolutely delighted with Aarrons contribution to our charity evening. He is very friendly and apart from being great DJ he was so willing to help with our fundraising activities, he's a great bingo caller and offered to help with our auction. I've had a lot of feedback from friends and family who agreed that he helped make a fantastic night. [ADMIN NOTE: Feedback earned under previous company name 'Attack the Dance Floor']"
"Glad we could be of service in helping you raise the much needed money. 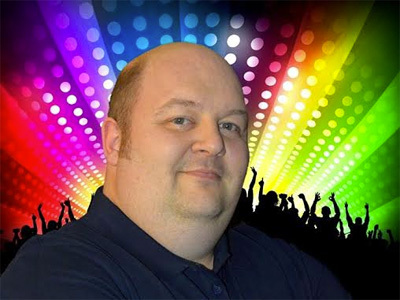 A real pleasure and thanks for the great feedback"
"I booked Andy from Attachthedancefloor; however he had to make apologies and provided me with Kris from the Boogie Knight. Both were fine communicators prior to the event and Kris was great on the night. I imagine both are good quality DJ's and would recommend both to others. [ADMIN NOTE: Feedback earned under previous company name 'Attack the Dance Floor']"
"Thanks for the review - Glad to have been able to help out"
"Andy had plenty of choice of music,everyone enjoyed it,I think I should have made a bit more of a detailed list of music I would have liked to hear,probably worth doing that if you are particular,but he is a good dj and does listen. Supplied a projector for photos which I loved. [ADMIN NOTE: Feedback earned under previous company name 'Attack the Dance Floor']"
"Had a great night glad you enjoyed it. I agree when stating an Era like 80s if possibly worth while narrowing the selection as it is very vast"
"Andy was fantastic! Lovely bloke, great laugh and really helped me have a brilliant 18th! Came all the way from Sunderland to Benton and provided an excellent show which really complimented a great night! Would definitely reccomend Andy to anyone! [ADMIN NOTE: Feedback earned under previous company name 'Attack the Dance Floor']"
"Thanks for the review already got extra bookings from this night." "He did start to play one from my 'don't play' list but soon cut it when I glared at him haha. Not sure if there were any requests so can't really comment. There was a good mix and everyone enjoyed it. [ADMIN NOTE: Feedback earned under previous company name 'Attack the Dance Floor']"
"Yes, almost forgot myself despite having the list open, hope you had a great night otherwise"
Disco Couture also offers a range of additional party services not directly linked to musical entertainment. If you are contacting Disco Couture about an event, it's always a good idea to include the DATE, LOCATION, EVENT TYPE, AGE GROUP and TIMINGS to speed things up!